I have over-indulged! Way over. I imagine there are any number of people saying the same thing about now. Don’t we ALWAYS over-indulge during the holidays? And we’ve got only the first one behind us. I’ve eaten too much sweet potato casserole, stuffed myself with stuffing, picked at one too many pieces of pecan pie. I’ve done the peppermint stick ice-cream. It was delicious, but it’s over. Stomach, I’m going to be nicer to you, because you deserve a break. Before I start making cookies, I’m making a salad. This is going to be so good, you’ll be thanking me all over the place. So, hang on to your hat. A salad begins with greens, right? And what’s the most popular green in town? Kale! 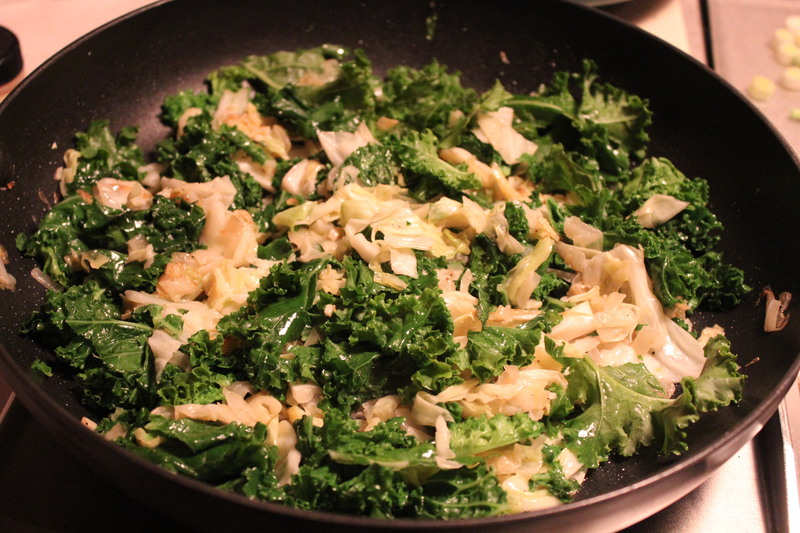 Yes, kale, chopped up nice and fine, raw and crunchy. Next we add some romaine, also chopped up nice and fine, also crunchy. Cut up the greens nice and fine. To sweeten up this deal we’re adding clementine or tangerine. Grab and peel those babies. Avocados go in next; for color, for fat nutrients, for creaminess…..oh heck, just put them in because we love them, and they love to hang out with citrus. Bright and juicy meets soft and creamy. Last, we sprinkle in some toasted sesame seeds because we need something to get stuck in our teeth to embarrass us later. If you want to leave them out that’s okay, you can still go ahead and walk around with kale stuck in your teeth. To soften the kale, you can rub it with a bit of olive oil and salt….that’s called a kale massage….a totally normal thing to do. If you find baby kale you can skip this step. My supermarket is now carrying baby kale. Once the kale is massaged, make the dressing. The dressing ingredients go into a small jar. They consist of rice vinegar, sesame oil, honey, soy sauce and pepper. 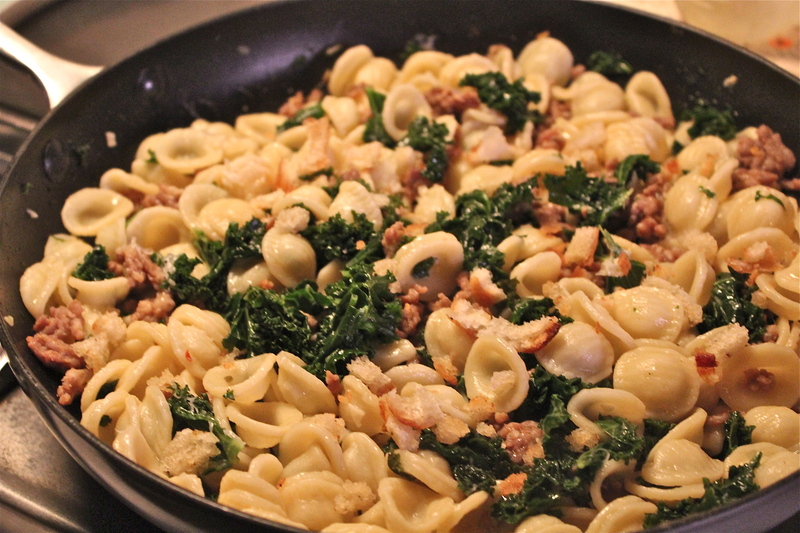 Add in a tiny bit of minced garlic if you’d like. Now tighten the lid, and start shaking. Shake, shake, shake like mad. That’s it. Done. Toss some with the salad, and as it gets tossed together the orange segments may split open and the avocado may mash a bit making these two elements a lovely addition to the sesame dressing. Adjust seasoning with additional salt and pepper as needed. Now’s the time to grab a fork and dig in. Your stomach will thank you. Do yourself a favor, take a break today with a salad this good. 1. 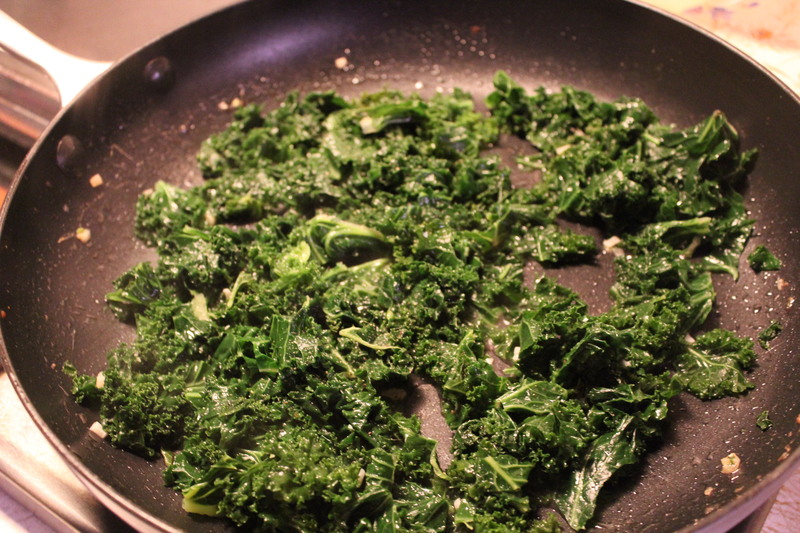 Place kale in a large bowl and drizzle with olive oil and a pinch of salt. Massage the oil and salt into the kale. 2. Add the romaine, tangerines, and avocado to the bowl. 3. Sprinkle with the sesame seeds. 4. 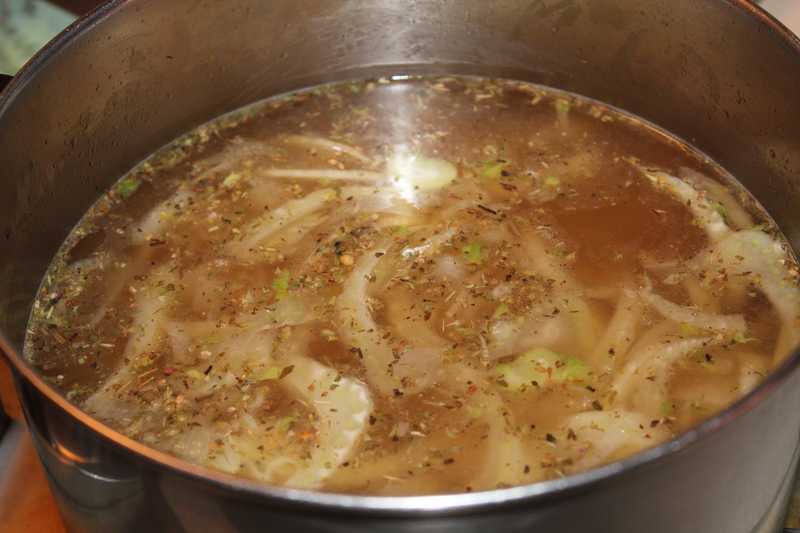 In a small jar with a tight-fitting lid, combine the vinegar, sesame oil, soy sauce, honey, and pepper. Place the lid on the jar and shake vigorously until emulsified. If you don’t have a jar, whisk the ingredients together in a small bowl until well combined. 5. Drizzle the dressing over the salad. Toss to combine. Sprinkle with salt and pepper and enjoy! 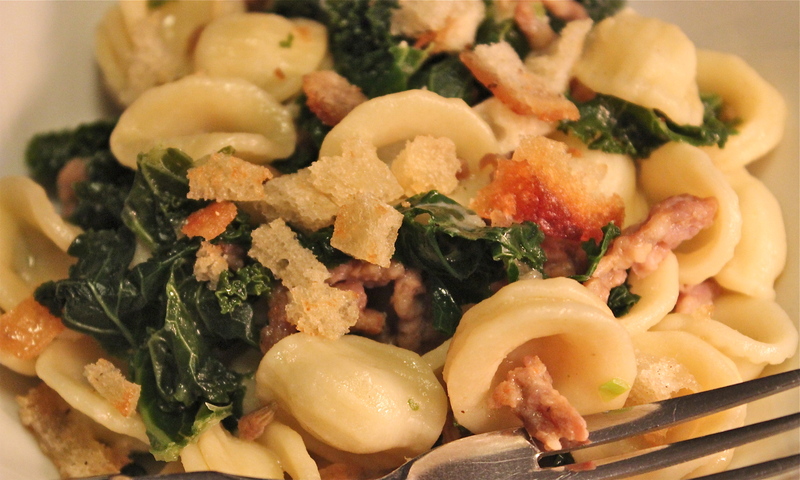 Kale seemed to be the darling vegetable of 2012, and its popularity does not seem to be letting up in 2013. Whether cooked in soups or with other vegetables or eaten raw in salads, this is one vegetable that packs a nutritious punch. For years I wouldn’t even look at kale. I thought it was only used as a garnish in fancy restaurants. Its leaves and surface are so rough, all I could imagine was trying to eat a brillo pad. Until last year I had never even purchased kale. But being a person who does not want to be left out of a good thing, I realized that I owed it to myself ( and the people I cook for) to at least give it a fair chance. So my first endeavor was to put some in a soup, where I would not have to meet it face-to-face. I could tolerate that because it was mixed with the other vegetables, and every thing tasted quite good. My second encounter with kale was not so successful. I made Kale Chips. 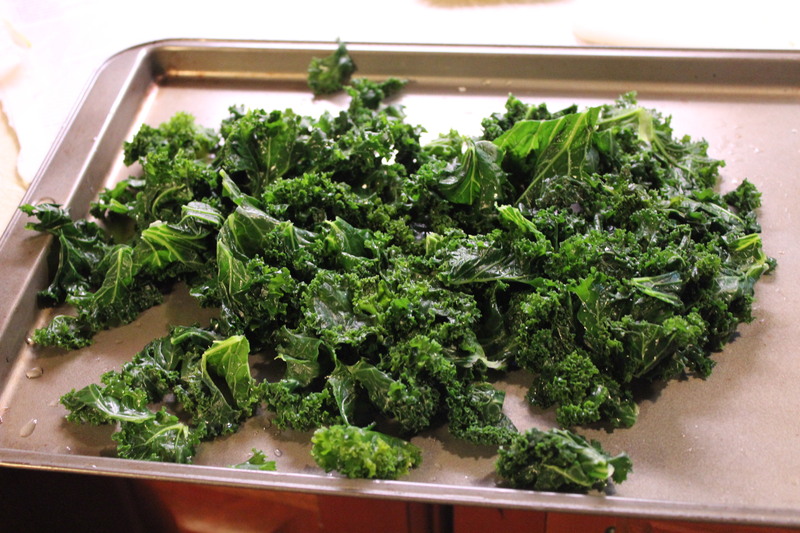 So many articles and blogs raved about baked kale chips; crispy, a little salty, addictive. Yup, they certainly were—-and I over did it. Unpleasant side effects! Mr. D. had the same reaction, so there has been a lengthy time lapse since that experience. Where food is concerned, a good picture will get me every time. 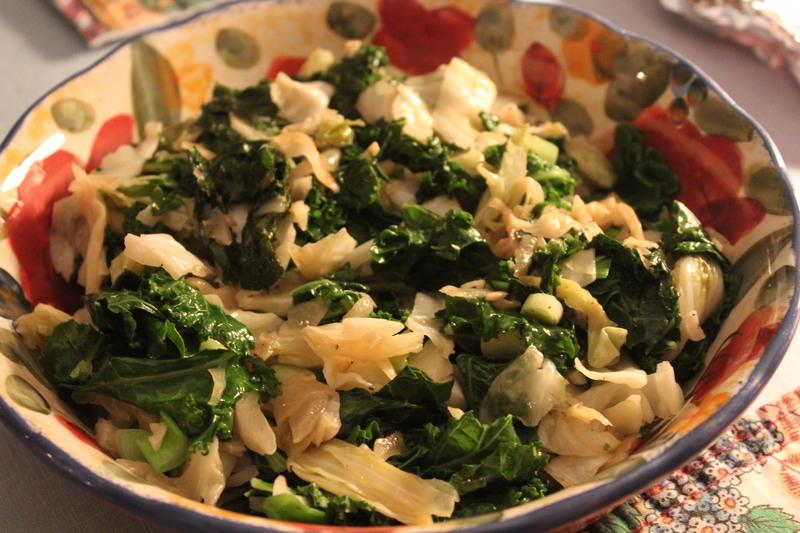 So when I saw a picture of this dish on My Gourmet Connection of kale sautéed with cabbage, onions, and scallions, I decided to give it one more chance. This time it was a winner. 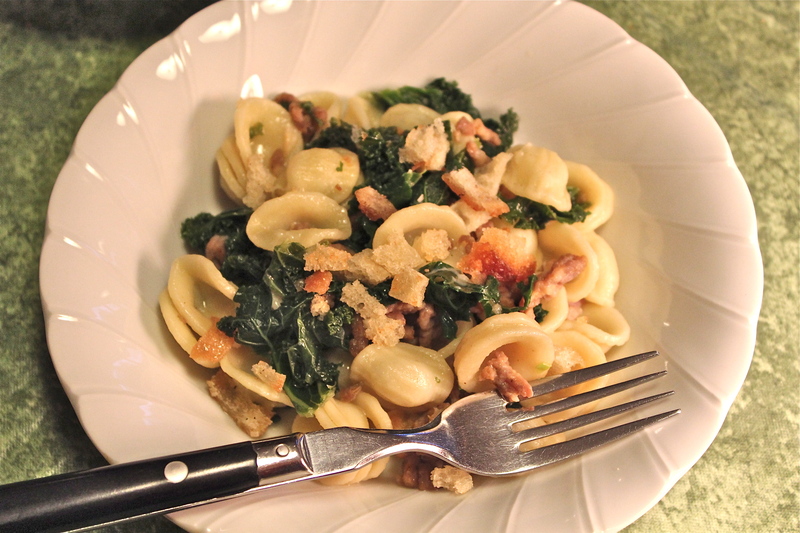 If you are a fan of this leafy green vegetable that becomes soft and silky smooth when cooked, you must give this recipe a trial run. 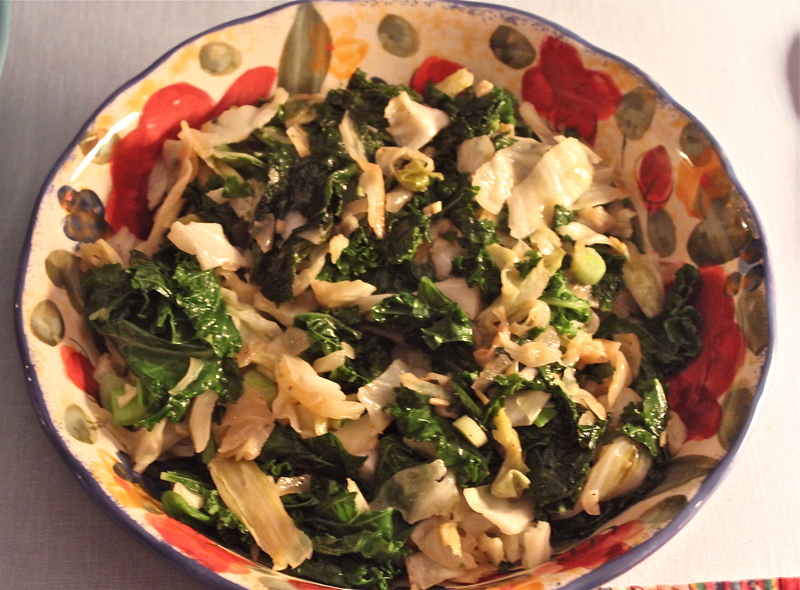 Because you want to caramelize rather than brown the cabbage in order to develop its natural sweetness, this dish takes a little time to prepare, but I think you will find that the flavor is well worth the extra effort. It is a great side dish that goes with all sorts of entrees. Take time to slowly cook the cabbage until it is golden. 1. Heat the olive oil in a large pan over medium heat. 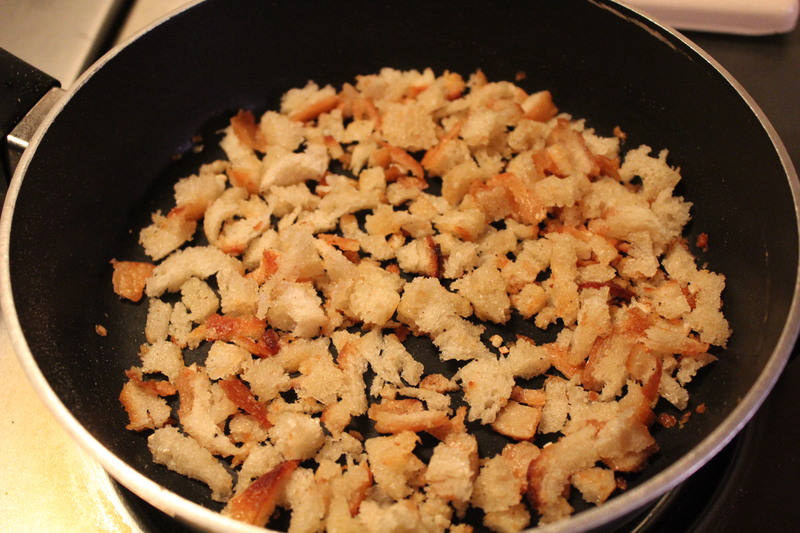 Add the chopped onion and cook for 3 to 4 minutes, until it begins to soften. Add the garlic and continue cooking just until fragrant, 1 minute longer. 2. Add about 1/3 of the chopped cabbage, season with a pinch of salt and cook until wilted and reduced in bulk. Repeat with the other two batches of cabbage, being sure to season with a bit more salt each time. 3. 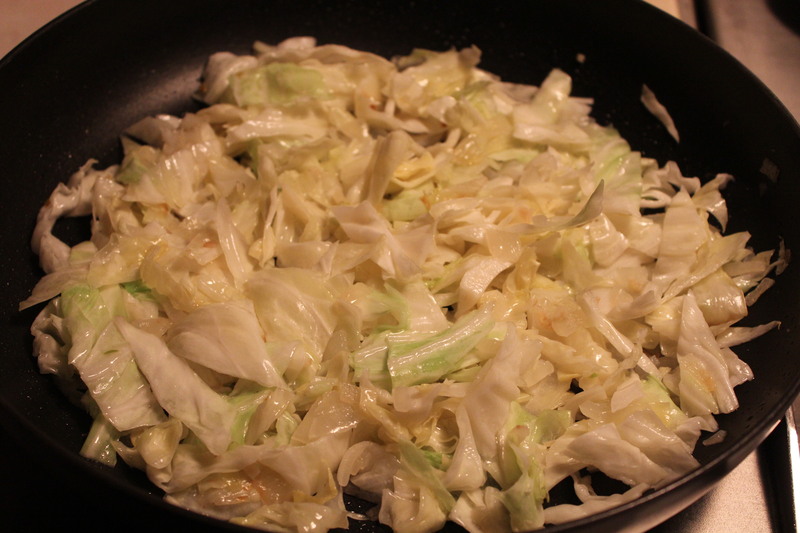 Continue cooking, stirring often until the cabbage is caramelized and golden in color, 15 to 18 minutes. Add the butter, a few grinds of black pepper, and adjust the salt to taste. 4. Add the kale and continue cooking until it’s wilted and tender, 3 to 4 minutes, then add the scallions and cook until they’re slightly softened, but still bright green. 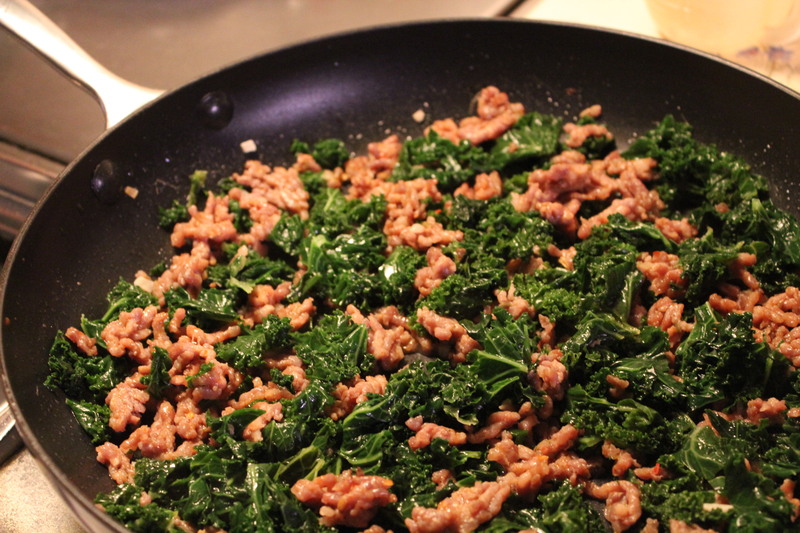 Add kale and scallions to the pan. A great side dish ready to be enjoyed with any entree. Hit the Road, Jack! Yep, that’s us. We’re hitting the road, going on a little vacation, going south, going to visit family, going, going, almost gone. But before I go, I need to clean out the refrigerator, use up all the bits of veggies that are in there. 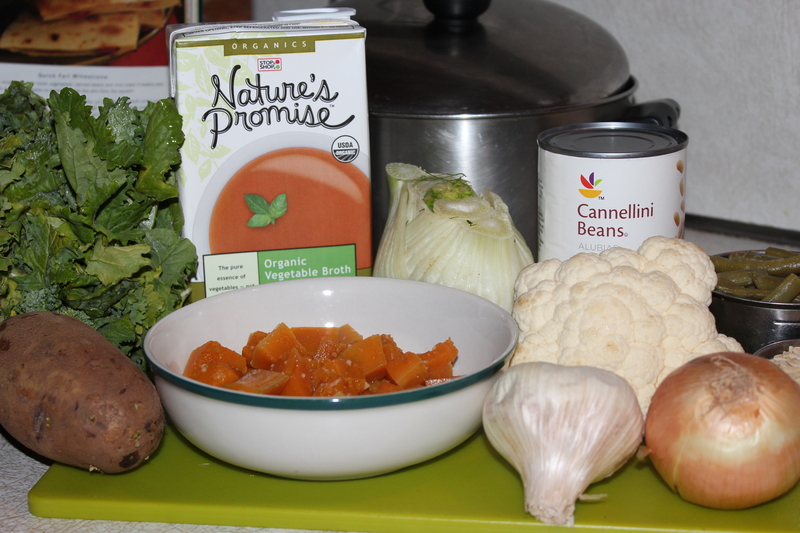 So what I’m making is a minestrone soup. 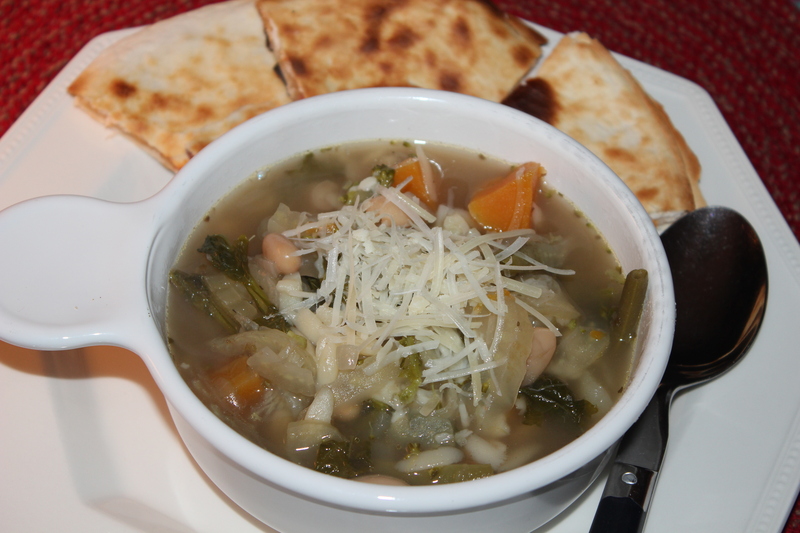 This easy soup is made up of fresh fall vegetables, some orzo and a can of beans, making it hearty and filling. I plan to freeze what we don’t eat so we will have it waiting for us when we get back home. 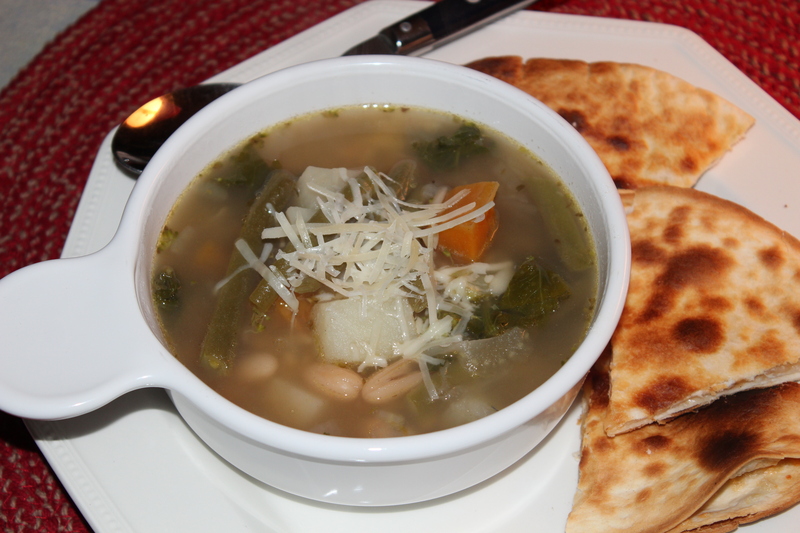 I know that after a long day on the road we will be happy to have a warming, nourishing soup to return to. While I’m away, posts that I have already written will be published, but I will not be available to respond to your comments for a while. I hope you enjoy reading what I’ve prepared for the next week or so. When I get back I hope to have some new sights, foods, and dining experiences to tell you about. 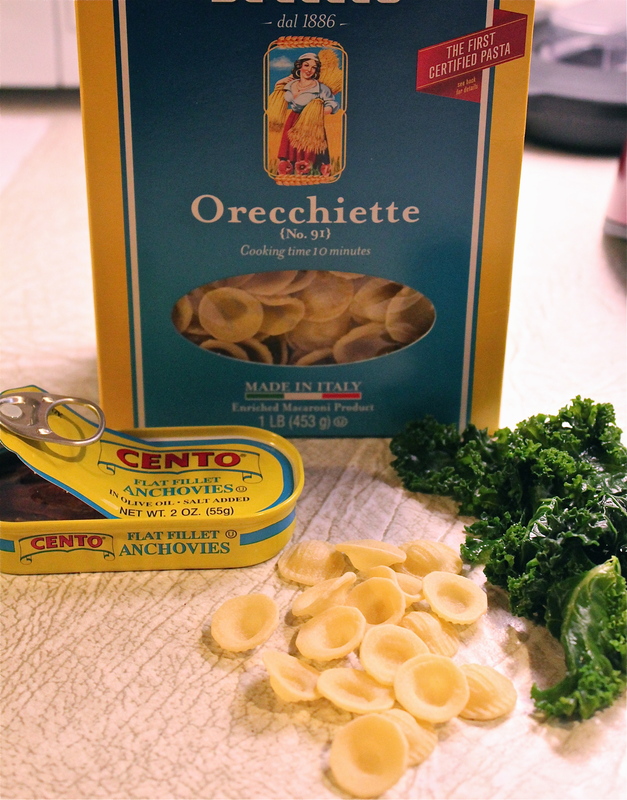 My ingredients differ slightly from the recipe, because of what I had to use up. Broth and seasonings added to the sautéed vegetables. 2. 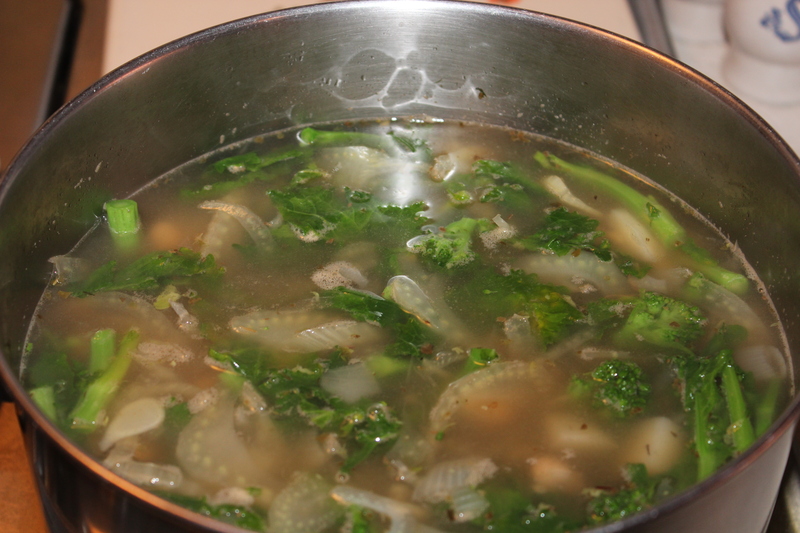 Add the broth and the next 7 ingredients (broth through salt); bring to a boil. Reduce heat, and simmer 3 minutes. 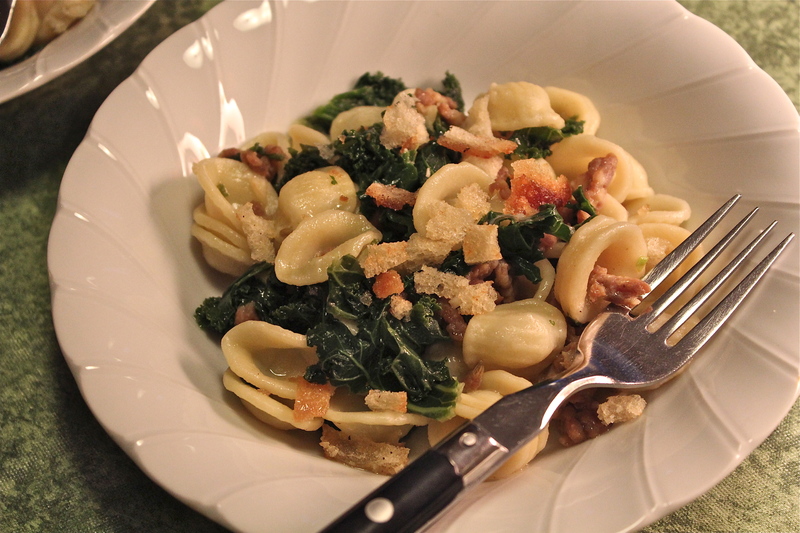 Greens added; in my version I used broccoli rabe. 3. 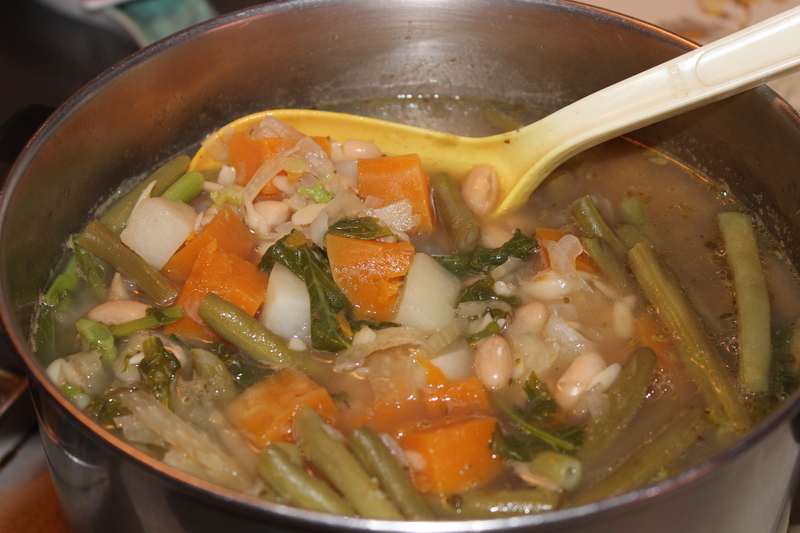 Add greens, orzo, and beans; cook 7 – 10 minutes or until orzo is done and vegetables are tender. Ready for the soup bowls. 4. 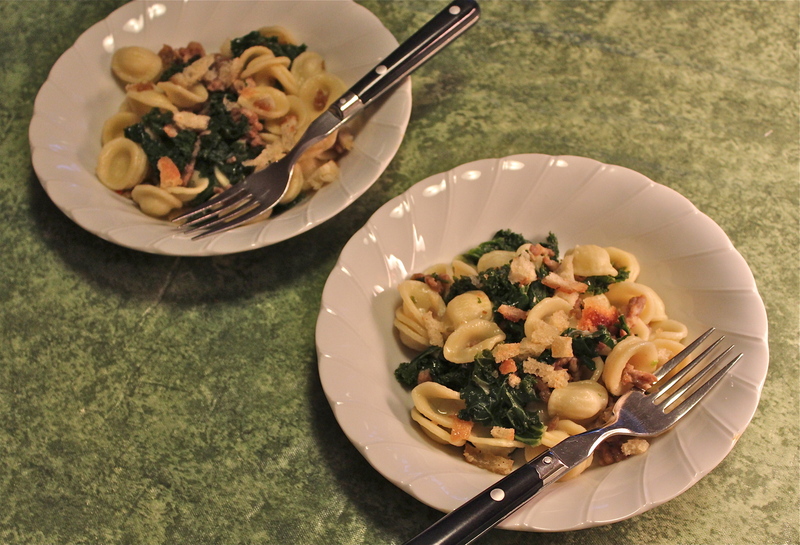 Ladle into bowls and sprinkle with cheese to serve. To go along with the soup I made Cheese Quesadillas: 6 – inch flour tortillas with Monterey Jack cheese in the middle, warmed in a skillet till cheese melted.